The faculties of the International Child Neurology Association (ICNA) and the British Paediatric Neurology Association (BPNA), together with a team of speech, language and occupational therapists, London NHS Trust visited the pyramids of the Kushite rulers of Meroe. Meroe, the Southern Capital of the Napta / Meroitic Kingdom (800BC-350AD), was a major power in the ancient world and is one of The World Heritage Sites of UNESCO (http://whc.unesco.org/en/list/1336). This site formed the Cover of the first online version of the Sudanese Journal of Paediatrics (SJP) [Volume 11, No. 1, 2011]. 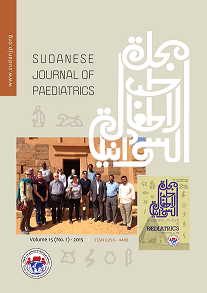 First row, left to right: Prof Jo Wilmshurst, Dr Kirsty Donald, Prof Charles Newton (ICNA Faculty); Dr Alice Jollands, Dr Sunny Phillips (BPNA Faculty), Prof Mustafa Abdalla M Salih (International Editor, SJP), Dr Babiker Mubashar (Consultant Paediatrician, Organizing Committee), and Dr Abdel Moneim Ahmed Abdalla (Department of Archaeology, Shendi University, Sudan). Back row: Dr Ali Alsir (second left, Paediatric Registrar, Organizing Committee), Dr Karen L Skjei (third left, ICNA Faculty), Fiona Kingsley (fourth left, Occupational Therapist).